Private flights for Business, Personal, Aerial work, Tourism and Medical. The main types of aircraft charter fall into a handful of categories. Each type has it’s own characteristics and benefits. Your Flight Manager can help you determine your requirements and match you with an appropriate service. Your details and situation are confidential and we will use our expertise to ensure you get the best result. Efficiency and flexibility are key in business. Waiting in line to check in; go through security; board the aircraft and then picking up your bags at the other end doesn’t fit in with either flexibility or efficiency. Compare that to arriving at the airport; walking straight on board and taking off! If you are travelling with work colleagues you can continue your business discussion uninterrupted and in complete privacy. Arriving at your destination you simply walk off the aircraft and into your waiting transport. What about the return flight? Is your meeting running a bit late? Perhaps a new opportunity has popped up and you want to stop off somewhere else on the way home? No problem – your Flight Manager can help you adjust the itinerary and schedule in real time. The flexibility, efficiency and privacy of a business charter can make a lot of sense – even if your destination is well served by the airlines. If you are travelling to regional or remote locations then utilising your own aircraft charter makes complete sense. Sometimes you just need to be somewhere and fast. Family emergencies happen all the time and chartering an aircraft can be an extremely useful and effective way to get to where you need to be as fast as you can. When you hire a private plane there is no waiting at the airport and in fact, by the time you get to the airport, go through security and wait to board your plane you could probably be at your destination with a Personal Aircraft Charter. Other times it is just getting there that can be half the fun. Special occasion? Golfing or fishing trips with your mates? Going the Races – be it Melbourne Cup or Birdsville? Whatever it is, private plane charter is a fun and surprisingly affordable way to travel. Non-emergency patient transport is a specialist service that allows families, doctors and other health professionals transport patients quickly and without undue stress. Our medical aircraft are fitted out with stretchers, medical equipment, oxygen and are staffed by trained aviation nurses and doctors. Your Flight Manager can help you determine your requirements and match you with an appropriate medical charter service. Your details and situation are dealt with compassion, respect and confidentiality at all times. 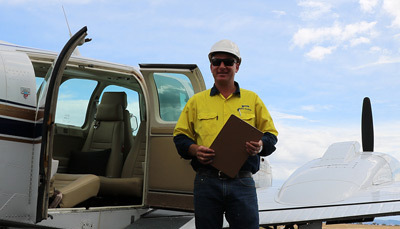 Your Flight Manager has access to thousands of aircraft across Australia and can help you source the right aircraft for your fly in fly out job. Whatever you need. If there is an aircraft that can do the work we will be able to find it and help you make arrangements. 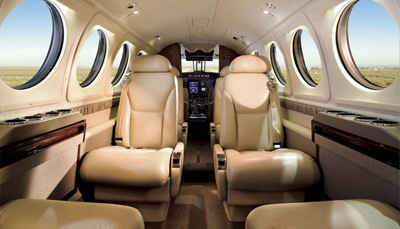 Discover Australia in comfort by hiring a private jet for scenic flights or with an arranged tour. Tourist and scenic flights via private plane charter will allow you to explore the Land Down Under up close and personal while you indulge in the comfort and efficiency of a completely private flight. FlightCharter.com.au’s team of Flight Managers can help you book your next travel adventure that fits your individual itinerary or book you in to one of our pre-arranged tourism packages. Learn more about our Tourist & Scenic Flight Packages.